Oftentimes, seniors feel like they are the only ones without a job at graduation. Guess what? You are in the majority. Companies don’t hire based on graduation date. They hire based on need and available positions. If you don’t have a job secured yet, fear not. Most seniors secure jobs within six months of graduation. 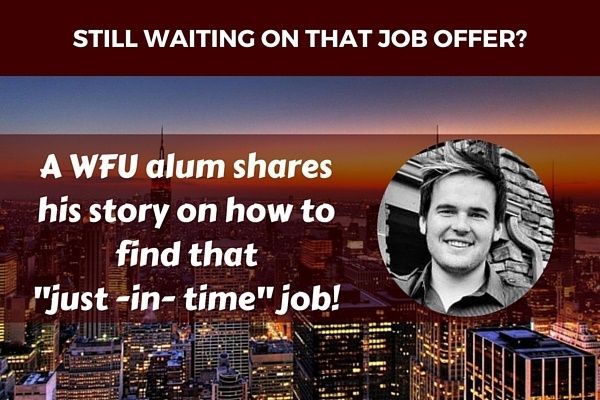 Zach shares his experience and perspective on finding a job in your desired city. He didn’t have a job secured before leaving his fellowship last year. He decided to move to NYC in order to better network and apply for jobs. What would you have done differently your senior year to prepare for life after graduation? One thing that I did while I was a senior was really tap into the Wake Forest network in NYC, which is where I wanted to end up after I graduated. Doing so really benefited me because I was able to make connections with people in the industry I was interested in breaking into, which resulted in my ultimately getting the job I have today. While you’re at Wake, take advantage of the resources offered to you, and really focus on expanding your network. I think that Wake does a fantastic job of giving students the opportunity to really create experiences that can make them stand out in the job search. However, what makes certain university students stand out as more desirable candidates is the ability to shape their experiences into an appealing story that demonstrates their worth for a company. All that to say, focusing on shaping those stories in your resume, and really honing in on how to convey what makes you different by taking advantage of the OPCD’s mock interview process is key. You can even reach out to a mentor, or someone you’ve worked really closely with in the past and ask him/her to ask you interview questions and give you feedback. What advice do you have for seniors who are still seeking employment in April? Looking for job opportunities in April seems right to me. Most students looking to go into the media/publishing/advertising/public relations industries will need to continue looking well into April, and maybe even later. The best thing that seniors can do is to put themselves out there and reach out to as many alumni as they can, to talk to them about their experiences, their industries, and their professions. What I’ve come to learn from being on the other side of the process is that the student really dictates the conversation. That being said, whenever you schedule an informational interview with Wake alumni, I would encourage you to sit down before the conversation and come up with three objectives that you would like to get out of that particular meeting. Another piece of advice I have about networking is to always follow up. If you and the said alum agreed to any action items to be taken after the call, include those in your follow up. Not only does it give you a great reason to follow up, it reminds that alum that s/he has agreed to help you with something. When do most companies hire for positions? In my experience, generally most companies hire for positions on an as-needed basis. When you get a job really depends on timing. This doesn’t necessarily mean that you aren’t the right candidate, or that you’re awful and will never get a job. It’s really easy to question yourself when you aren’t getting any phone calls or emails saying “Hey! You’re great! We have the perfect position for you!” but you really shouldn’t let it get to you. If you have the ability to be picky, to choose the right job for you, do it. While I know it isn’t always feasible, if you can hold out for a little bit longer until you get an offer you’re excited about instead of taking the first position that comes your way, you’ll be better suited in the long haul. It’s always best to stay in one position within one company for a while before making another jump, and the best way to accomplish this is to avoid taking your very first offer if you’re hesitant that it isn’t the best fit for you. You moved to NYC before receiving an offer on a job. Do you recommend seniors, if they don’t have a job by graduation, move to their preferred city in order to job search? Why? What made it easier? Absolutely. It may be really, really scary and intimidating at the time but moving to your preferred city after graduation (even if you don’t have a job lined up) is the correct thing to do. It’s easier to set up meetings and network with people in person, it shows that you’re dedicated to the city, and it gives the employer an idea of how committed you actually are to that industry and that particular position. While moving blindly to a new city isn’t an easy thing to do by any means, there are ways you can make the transition easier. Give yourself a timeline. Say to yourself, “I’m going to move to NYC and for the first three weeks, all I’ll do is network. Then I’ll give myself a month to apply to very specific jobs that I’m interested in and think would be a good fit for me. After that month, if I still don’t have an offer that excites me, I’ll go back to networking and expand my job search to other, related fields that I’m interested in pursuing.” Throughout that process, you’ll meet a lot of different people and before you know it, the perfect opportunity could end up falling into your lap. 1. Allows you to borrow money. If you have a credit (good) history, then you can borrow money for a car loan or mortgage for a house. If you borrow money, pay it by the due date. Or you will decrease your credit score/rating. 2. Determines loan amount and interest rate. The better your credit score the more you can borrow (good and bad) and the lower your interest rate. 1.Pay your bills on-time. Any bills your have (e.g., phone or electricity), pay them early or by the due date. 2. Obtain at least 1 credit card. Perhaps, apply for a credit card at store you frequent such as Target. Only make minimal purchases in order to easily make on-time payments without paying late fees (interest rates). This allows you to build your credit history. I’m not telling you to go out today and get a credit card. You have to consider your personal financial situation. So, you may read or hear the words…credit report, score, or FICO (Fair Isaac Corporation) score. Your credit score is based on your credit history, such as how much money you owe (30%), how long you’ve owed it (15%), how many new accounts you have (10%), how often you miss or are late with payments (35%), and what type of credit accounts you have (10%). Changes in any of those factors will cause your score to go up or down. 1. Check your credit history and learn more about credit with Annualcreditreport.com. You can obtain a free annual report. Oftentimes, it’s a good idea to check to ensure identity theft or fraudulent charges have not been acquired in your name. Equifax, Transunion, and Experian are different credit agencies to check your credit score. Test your save or splurge knowledge and win “dessert on us” with a Brynn’t gift card! 2. Participate in the quiz of the week. Quizzes are located at the bottom of the home page under Resources. Quiz schedule: April 25-May 1: What’s Your Credit Score IQ? 1. Be intentional. Ask yourself – Do I really need what I am purchasing? The little purchases add up to a large sum. What is the investment? Will this purchase last long term? Think before you spend your cash. 2. Think long-term gain. Is the purchase only a short-term gain? Immediate gratification. If you saved the cash, what will you be able to purchase in the future? It is easy to follow your impulse to gratify your “need” than to think long-term. However, it will pay off. Stay focused on your goal. 3. Create a “Needs & Wants” list. This will help keep your focus on items you truly need versus those that you want (i.e., would like to have). You can begin to save for the items you want on your list. If you want to take a vacation, then label an envelope with “VACATION” on it. When you have the urge to spend money on a short-term gain, then put that money into the envelope. You’ll be surprised at how much will save for that vacation you want to take – a long-term gain. Test your save or splurge knowledge and win “dessert on us” with a Brynn’s gift card! Quiz schedule: April 18-24: Save or Splurge? Test your student loan knowledge and win “dessert on us” with a Brynn’s gift card! Once you track your spending habits, you’ll be prepared to create a budget. Also, it provides clarity on your needs versus your wants. It is important to distinguish the two categories. Needs are rent, meals, and electricity (e.g. utilities). Wants are luxuries such as lunch at Chipotle. Are you spending too much on the wants or got-to-haves? Whether living at home or on your own, a budget will help you stay on track. First, you need to know your monthly net income (amount received after taxes and deductions), scholarship or stipend amount. Second, think about your expected monthly expenses. For example, rent…This is a fixed expense; it doesn’t vary from month to month. Some expenses fluctuate, like groceries. These are called variable expenses. Third, research areas where you can spend less such as having a roommate to share the cost of rent, and taking your lunch to work as opposed to eating out. Buying lunch everyday can quickly add up, so can a Starbucks latte in the morning. 1. CashCourse—A free online financial resource for Wake Forest students. Learn to manage money and financial literacy through a variety of fun interactive tools such as videos, calculators, and worksheets. Manage your budget using the budget wizard by tracking your expenses.The information will help you make informed financial decisions throughout your college years and into your professional life. Available when you want to manage your money! 2. Mint—See all your balances and transactions together, on the web or your phone. Mint automatically pulls all your financial information into one place, so you can finally get the entire picture. Mint automatically updates and categorizes your information, and suggests ways to help you save. Mint sends automatic alerts—like bill reminders—to your mobile phone or email. Set a budget and create a plan to reach your personal financial goals. You can track your progress online or stay up-to-date with monthly emails. 3. Bank Rate—A comprehensive, objective financial literacy site providing information on financial news, money management and calculators for budgeting. 4. Hands on Banking—Access free online financial courses that are self-paced with information and tools, such as calculators, glossary, worksheets, money management tips, and helpful links. The program provides the essentials of financial education, real-world skills, and knowledge through interactive lessons based on age appropriate groups. *Many financial institutions provide their own mobile apps for banking-on-the-go for either checking your account or watching your monthly budget/spending plan. Test your budgeting knowledge and win “dessert on us” with a Brynn’s gift card! Quiz schedule: April 4-10: What’s Your Budgeting IQ? Not sure how to plan or budget for student loan repayment after graduation? 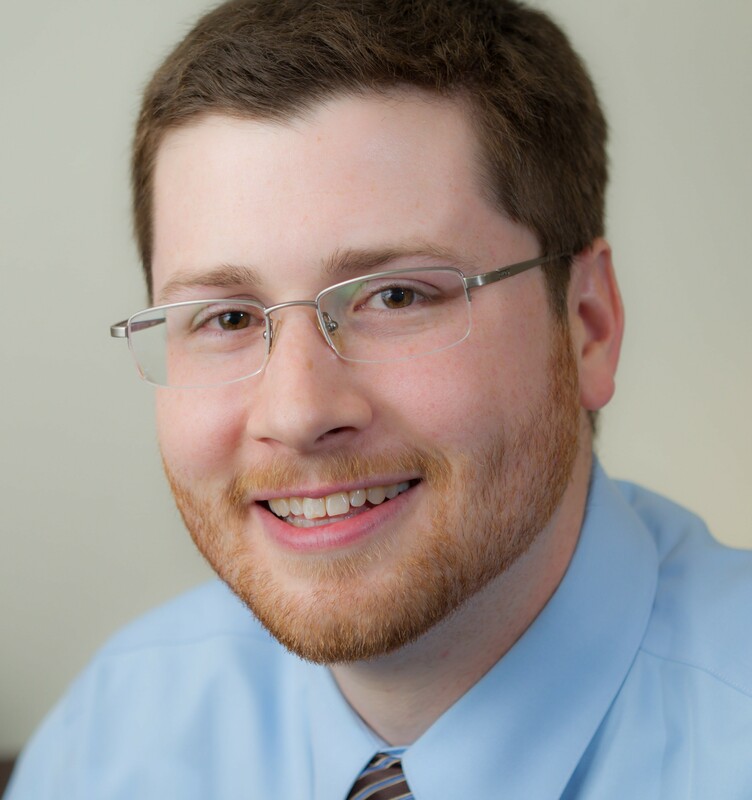 Visit next week for expert advice from Tom Benza, Associate Director of Student Financial Aid. Giving It the Old College Try: A Sophomore’s Approach to Making the Most of a Career Event! My name is Hayden Lineberger and I am from Winston-Salem, NC. I am a rising junior majoring in Business and Enterprise Management with a concentration in Marketing. My minor is Entrepreneurship and Social Enterprise. I hope to work in brand marketing for a large consumer packaged goods company. I have applied to several companies for a summer internship position in marketing and hope to build my business skills through the experience. Tell us about your visit to MullenLowe and HanesBrands. HAYDEN: MullenLowe is a full service prestigious advertising agency known for television, print and digital advertising, web design, and social media. They are headquartered in Boston, with offices in New York City, Los Angeles, and Winston-Salem. HanesBrands is the world’s largest manufacturer and marketer of basic apparel. They make and market some of the strongest brands in America – Hanes, Champion, Maidenform, and L’eggs. I learned about these field trip opportunities through Wake Forest’s Handshake platform. I was fortunate enough to visit both MullenLowe and HanesBrands and learn about the scope of work that these industry leaders perform. At both offices, the Wake Forest students toured the companies and were given an insider’s perspective on their businesses. We were able to ask questions and develop networking connections for future internships and jobs. HAYDEN: I decided to attend these events as both companies are in my possible career field of marketing. I could see myself working for either of these companies after I graduate, and therefore, thought that the trips would be a great opportunity to learn more about the companies and the different marketing jobs and clients that they have. What would you like to confess about attending the MullenLowe – HanesBrands visit? HAYDEN: I would like to confess that I really enjoy the networking aspects of these field trips. It is invaluable to make these contacts for future career opportunities. I always try to get a business card from the people I meet, and follow up with a thank you email. Would you do anything differently? Did you make any mistakes at the event? If so, what? HAYDEN: If I had to do one thing differently, I would have asked more questions than I did – I was afraid to talk too much. Did you consider the event a success for you? Why or why not? HAYDEN: Both of these events were a tremendous success for me. At no other time in my life have I been able to take advantage of similar opportunities to network with high level executives. 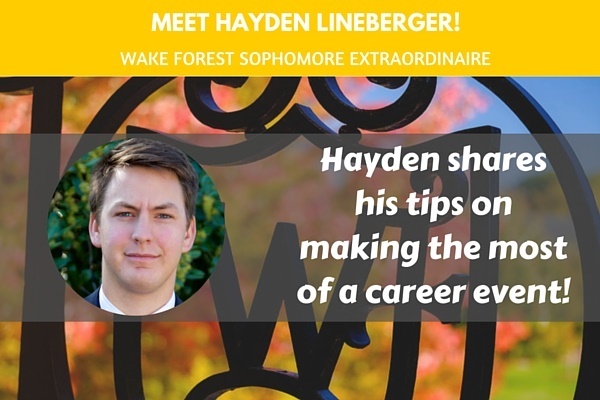 Hayden, you’re only a sophomore but you are already taking advantage of great career development opportunities. How would you advise someone who is unsure of their career goals, but wants to try something like this? HAYDEN: I think it is very beneficial to go on these field trips as it exposes you to different industries and helps you decide if the career might interest you. You can ask questions that also help you gain a better understanding about the different jobs within the companies. There is no better way to gain exposure to an industry then to visit a company and speak with employees. The time commitment is minimal and the benefits are huge. Interested in learning more about some of the skills Hayden gained? Join our “How to Succeed on a Job/Internship” Workshop with coach Cheryl Hicks. This event will be taking place on Tuesday, April 12, 2016 at 4 PM in the Innovation Station. Register here! Tracking your spending habits may seem like a daunting task. However, it is the first step in knowing where and how much you are spending daily, weekly and monthly. I challenge you to experiment for a week. You will be surprised on what and how much you spend your money. It is important to track every purchase even the small ones such as a pack of gum. 1. Save it. Keep your receipts. They will help you remember what you purchased from day to day. They will be useful references when tracking your purchases. Place the receipts into a folder, envelope or shoebox. 2. Track it. Write down your purchases in a journal or log. Do not include your fixed expenses such as rent. If you prefer, input your expenses into a spreadsheet or online worksheet. Try Wells Fargo’s My Money Journal as a guide. Create your own using Excel. 3. Calculate it. You want to review what you have spent each day. It is important to calculate your expenses. Total your expenditures at the end of each day and week for a 7-day total. What next? Come back on Thursday for budgeting tips and take the quiz for “dessert on us” from Brynn’s. Are you fiscally fit? Do you know how much money you spend each week or month? Are you aware of your budget? Do you have a budget? How are you going to repay student loans? It is wise to start thinking about tracking spending, creating a budget, and preparing for student loan repayment now. You may be surprised by how you easily could save or pay off debt with the money you’re spending. Be frugal. It doesn’t mean you have to be tight with your money. Be intentional with your spending. Do you really need that Venti Cinnamon Dolce Latte (my favorite) from Starbucks? Probably not. Be creative. Can you recreate your favorite coffees or teas at home for a fraction of the cost? You will save approximately 80% of your money. Instead of spending >$5.00 for a beverage, save $4 and spend only $1. Small purchases add up to a lot saved. Don’t know where to start? Luckily, WFU offers CashCourse, a free and unbiased real‐life money guide. Get started now, register for a free account. Plus, participate in the weekly finacial literacy quizzes to test your knowledge and a chance to win “dessert on us” with a Brynn’s gift card! At the end of april you will be entered to win a $25 VISA gift card. April 4-10: What’s Your Budgeting IQ? April 18-24: Save or Splurge? April 25-May 1: What’s Your Credit Score IQ? Want more? Follow the blog for tips on how to become more fiscally fit and build your financial muscle.